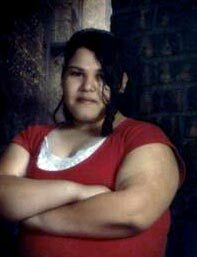 Anyone with information about the location of 16 year old Quinta Leathem is urged to call the Lafayette Police Department detective section, at 765-807-1250 or WeTip anonymous hotline at 1-800-782-7463. LAFAYETTE, Ind. — The Lafayette Police Department is investigating a missing person case and is asking for the public’s help to find 16 year old Quinta Leathem of Lafayette, Indiana. Leathem is 16 years old, 5’5” tall and weighs around 274 pounds. She has brown eyes and long dark brown hair that is usually worn rolled into a bun. She has no known medical or mental conditions. Leathem was last seen around 4:00pm last evening (Thursday) heading to the Tippecanoe County Library at Ivy Tech. A statement released by the LPD indicates that her disappearance is “suspicious in nature”, but no additional details were provided. Anyone with information is urged to call the Lafayette Police Department detective section at 765-807-1250 or the WeTip anonymous hotline at 1-800-782-7463.